Egyptians Mostafa Asal and Omar Mosaad both enjoyed huge wins as round two of the CIB Black Ball Squash Open PSA Platinum tournament came to a close in Cairo, Egypt. 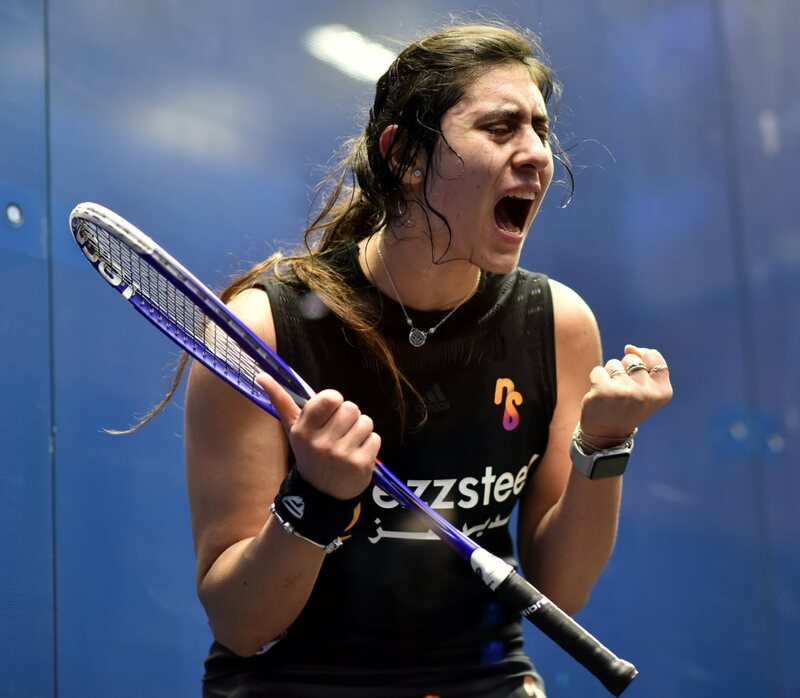 World Junior Champion Asal caused the biggest upset of the day when he defeated England’s World No.19 Declan James in a five-game thriller at the Black Ball Sporting Club to reach the last 16 of a PSA Platinum tournament for the first time. 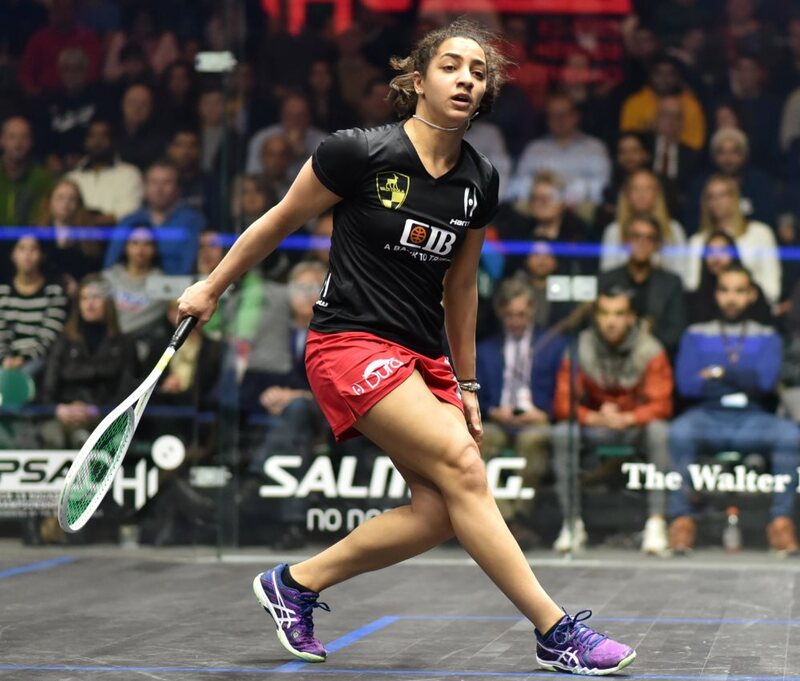 At just 17-years-old the young Egyptian proved that he has all the attributes to be a serious contender on the PSA World Tour after he battled back against the Englishman to prevail 15-13, 4-11, 3-11, 12-10, 11-8 in 89 minutes. World No.52 Asal will now face World No.2 Ali Farag for a place in the quarter-finals after he comfortably overcame France’s Lucas Serme in straight-games earlier in the day. “It feels incredible to play in front of this atmosphere,” said 17-year-old Asal following his victory. “I want to thank all of the people that came to cheer for me. Elsewhere, it was also a good day for Asal’s compatriot Mosaad, who took out Colombia’s World No.6 Miguel Angel Rodriguez in another long five-game battle. 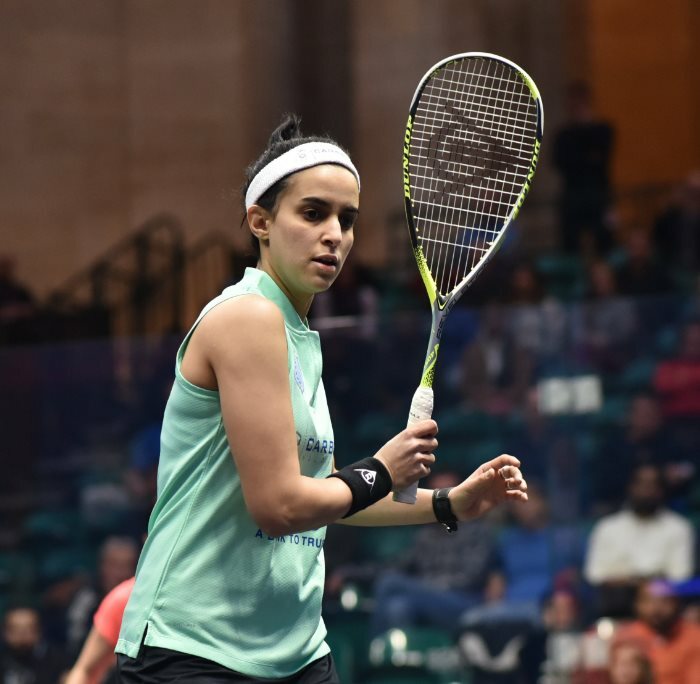 Cairo-born Mosaad started strongly in front of his home crowd and was able to survive two comebacks from the ‘Colombian Cannonball’ to book his place in the last 16 of the PSA Platinum tournament. The Egyptian will now face India’s Saurav Ghosal in the next round, after he defeated Egypt’s Karim Ali Fathi in straight-games. “I was expecting this tough match,” said 30-year-old Mosaad. “I have played a couple of matches with Miguel and they have all been 3-2, so I just played my game and focused. Elsewhere at the Black Ball Sporting Club, England’s Chris Simpson enjoyed a big win over Egypt’s World No.26 Zahed Salem. The 31-year-old Englishman was forced to dig deep to hold off a resilient Salem to claim an 11-7, 5-11, 11-8, 9-11, 11-9 in 75 minutes. 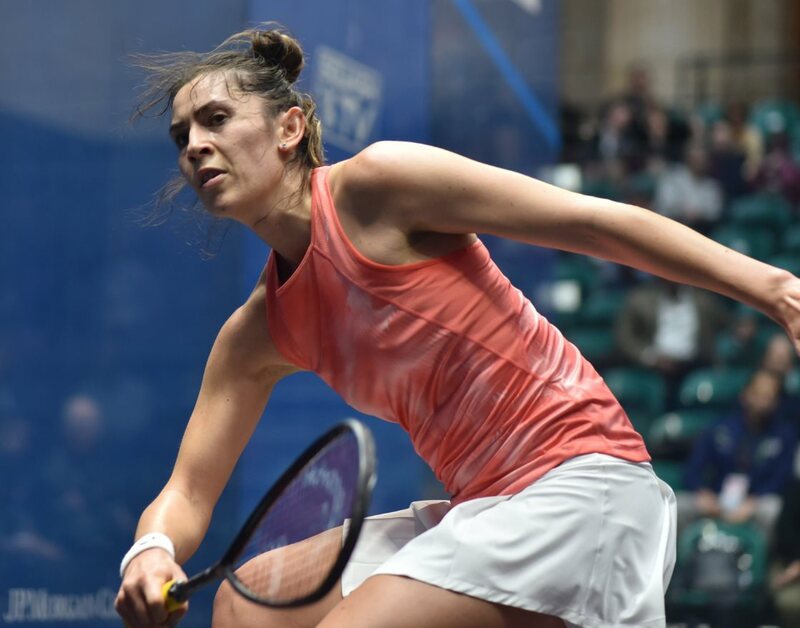 Simpson will now face New Zealand’s Paul Coll in the next round after he claimed a dominant straight-games win over United States No.1 Todd Harrity. The other last 16 clash will see Germany’s World No.3 Simon Rösner face France’s Gregoire Marche after they enjoyed respective wins over Scotland’s Alan Clyne and Hong Kong’s Leo Au.